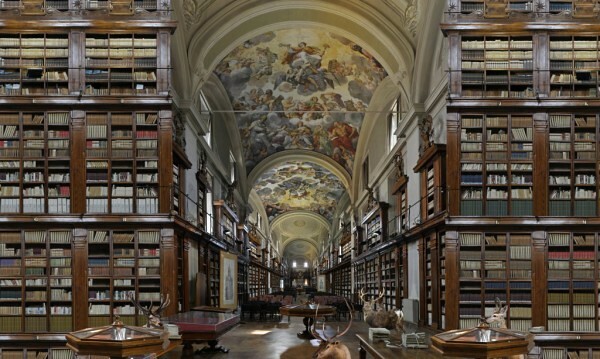 Visit Rauzier’s Bibliothèques Idéales for larger (and navigable) version of these and many more extraordinary pictures. 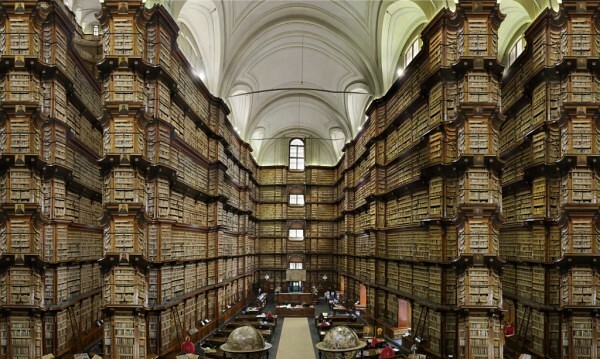 As we lose ourselves in the stacks, we might send polymathic birthday greetings to the painter, sculptor, architect, musician, mathematician, engineer, inventor, physicist, chemist, anatomist, botanist, geologist, cartographer, and writer– the archetypical Renaissance Man– Leonardo da Vinci. 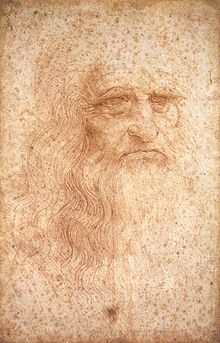 Quite possibly the greatest genius of the last Millennium, he was born on this date in 1452.